From the creators of the hit series, Chicken Girls—with over 223 million views on YouTube—comes the first in a series of original novels. Rhyme knows that this summer is going to be a bust. All of her friends are on vacation or at dance camp—without her—and T. K., her maybe-boyfriend, is away all summer in LA. Rhyme is stuck helping the Attaway librarian prepare for the County Fair and studying for the important “Test Test,” so she can move up to the next grade and which she failed the first time. Such a boring summer. 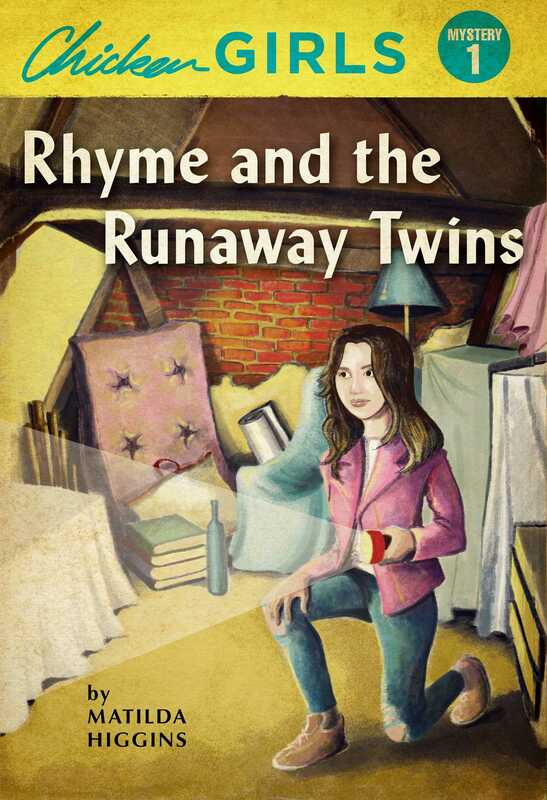 But when an enigmatic set of twins rolls into town, looking for answers and acceptance, Rhyme gets caught up in a decades-old mystery of love, intrigue, and danger. Will Rhyme be able to help the twins and prove once and for all what she is capable of? Chicken Girls is the breakout teen series from the Gen Z studio, Brat. Starring Annie LeBlanc, Brooke Butler, and Indiana Massara, the show's fourth season premieres this spring.